Yami Herbals, an online beauty brand offers eco-friendly skin and hair care products at budget prices. With the whole hoo-ha about using natural beauty products (and there are hundreds of them), choosing exactly where to start and what to buy can be quite difficult. Face serums, body polishes, hair, and facial masks, hair serums, hair sprays, the list goes on. In that Yami Herbals’ homemade and eco-friendly products come as a real blessing. Offering a limited yet complete range of skin and hair care products, you can easily make beauty a priority without losing hair over what kind of stuff to invest in. Their skincare range comprises two facial packs - a floral, fruity face pack for oily and sensitive skin and a skin brightening face pack that’s made with ingredients like orange peel powder, neem leaves, oats, cucumber seeds, and mint to detoxify your skin and give it a natural glow. Priced under INR 200, these are super budget-friendly. 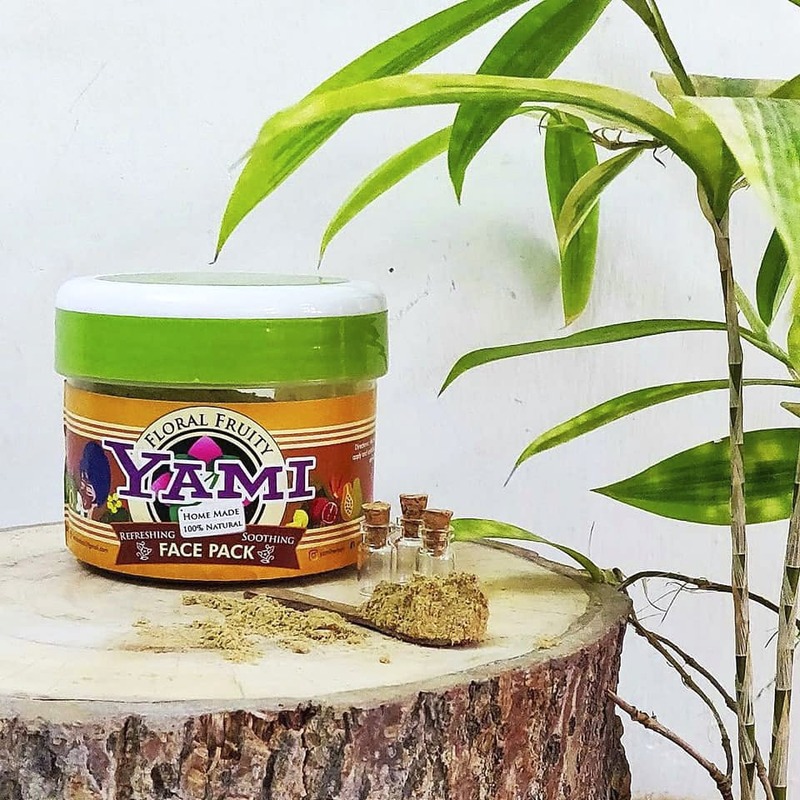 Yami Herbals also has a skin polishing scrub that’s made with stuff like almonds, walnuts, and pistas that are great for exfoliation yet super nourishing. Their haircare range includes a herbal hair oil, shampoo and hair pack. Their Herbal Shikakai powder that can be used as a hair wash is among their hot-selling products. Priced at INR 90, it can apparently help combat dandruff; and works as a detangler. Yami Herbals also has six varieties of lip balm + lip scrub, namely sweet orange, grapefruit, rosemary, peppermint, lavender and lemon for just INR 110. They also have a bath powder that’s made with organic herbs and pulses to give a wholesome bath experience for both adults and children.